Quick blurb: Cop falls in love with rent boy. With some Russian mob stuff thrown in. Quick snark: The main character need to sit down and STFU. Then maybe I’ll finish this. Two words: Bunny. Slippers. How could I NOT buy this??? A male prostitute, a mangy cat, a murder and an obsession that threatens his career, his impending marriage and his life. Nothing is going as planned for Austin Glass. 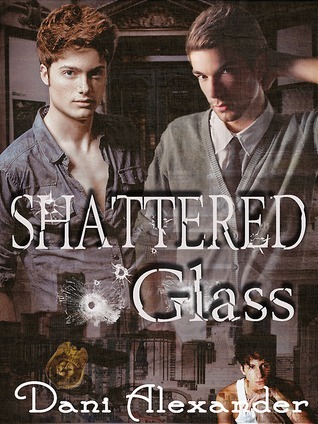 Austin Glass seems to have it all: A loving fiancee, a future with the FBI and a healthy sized trust fund. At least on the surface. He also has a grin and a wisecrack for every situation. But the smile he presents to the world hides a painful past he’s buried too deeply to remember, and his quips mask bitterness and insecurity. Austin has himself and most of the whole world fooled—until he meets a redhead in a pair of bunny slippers. I was sure I was going to love this because of all the rave reviews, but I gave up about halfway through because it just left me exhausted. I felt like I needed to get my anxiety meds adjusted or something.